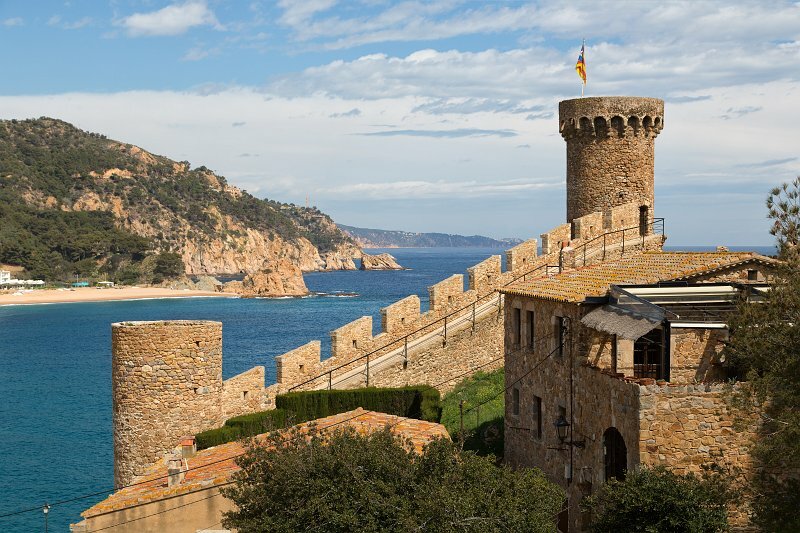 The "Vila Vella enceinte" is the only example of a fortified medieval town still standing on the Catalan coast. Its present appearance dates back to the end of the 14th century. It still has the entire original perimeter with battlemented stone walls, four turrets and three cylindrical towers with parapets. At the highest point, where the lighthouse stands today, was, until the beginning of the 19th century, the castle of the Abbot of the Monastery Santa Maria de Ripoll, the territorial Lord of the town. The site has been declared a national historic monument in 1931.